Scott was a former 13-year professional baseball umpire. He was fortunate enough to work parts of four seasons in the National League 1983-1986. He walked away from the game in 1986 because he felt God called him to raise a family. In 2000 entered the ministry full time after volunteering for seven years at CSI. Scott enjoys telling the greatest story ever told the good news of Jesus Christ and how it has touched the lives of thousands. Stu’s business career spans 25+ years working for Fortune 500 companies in sales and sales leadership positions. Stu brings broad leadership experience from business to community service to church and Christian ministry. 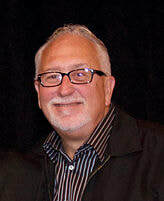 Stu’s leadership experience extends to church and Christian ministry; he currently serves in a dual role at Victory Family Church (Cranberry Twp, PA) as the Men’s Hub Leader and Ministry Director, Prayer Partners and also serves in a leadership capacity for the Locking Arms Men and Big C Men’s Fellowship ministries. Stu and his wife Mariann are residents of Wexford, PA and are the proud parents of two daughters and a son. Debra expands her duties as wife to Jon, mother to Eric, Tanner, and Caleb, and Nana to Lincoln, Emily, Lucy & Alice; and now takes on the responsibility of secretary for Adventures in Training With A Purpose. 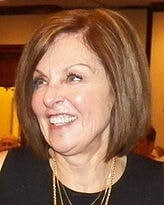 Debra also organizes many of the ATP fundraising events, and manages regular communication with ATP board members. Born and raised in McCandless, Pennsylvania, Laura earned her bachelor’s degree at Slippery Rock University. Laura made a career as a Special Needs Teacher for 36 years, also teaching 9 semesters at Grove City College and numerous years as a sunday school, Bible school and camp leader. Laura lives in Mercer, Pennsylvania with her husband Sam and son, Michael. Bill is the President of For Men Only ministries and currently the men's Pastor at Covenant Church of Pittsburgh. He is the proud father of 4 children and 9 grandchildren! Bill is retired pipe fitter of 40 years. Bill is involved in: Locking Arms ministry, Legends of the Huddle, and other men's outreaches in the city of Pittsburgh. 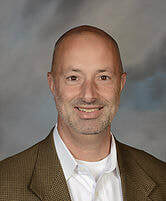 Born and raised in West Middlesex, Pennsylvania, Tom earned his bachelor’s degree at Grove City College, his master’s at Youngstown State University, and completed his coursework to be a commissioned lay pastor at the University of Dubuque Theological Seminary. 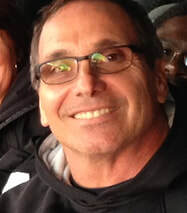 Tom has made a career as an English teacher and along the way has coached college football extensively and been active in performing stand-up comedy. As a lifelong member of Lebanon Presbyterian Church, Tom has served as a deacon and elder. He now assists with pastoral duties including preaching and pastoral care. He lives with his wife Patty in Rootstown, Ohio. Leo is the director for Locking Arms Men, a men’s ministry in the Pittsburgh area, whose mission is to build authentic men who love God, love one another, and love their neighbor. Leo has been in full-time Christian work since he retired from the NFL in 1986. He has done work in Christian Higher Education (Dean of Students) and in the inner city in youth ministry, both in Chicago and Washington, D.C.Leo resides in Pittsburgh with Cindy, his wife of 34 years. They have two adult children, both Penn State graduates, Stefen and Sarah.